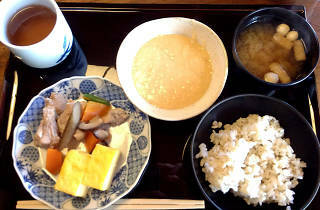 Few Tokyo restaurants have the ability – or the panache – to serve three different styles of lunch at once, but Mugitoro sure isn’t your average eatery: first established on the banks of the Sumida River in 1929, this venerable establishment is also one of the city’s very few tororo specialists. Said sticky mixture of grated yam may not be very appealing visually, but it sure makes for a healthy and nutritious meal that keeps both local lunchers and (mainly elderly) domestic tourists coming back again and again. When looking to join them, you’ll first need to decide how much you’re ready to shell out for the experience – and here’s where the three styles we mentioned earlier come in. 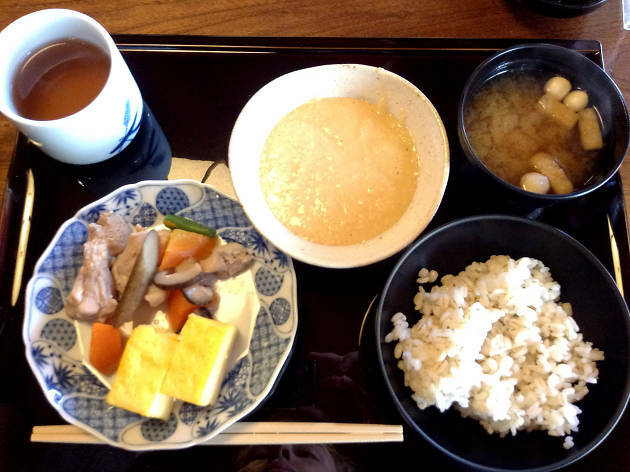 First, the cheapo option is a ¥1,000 buffet spread, which consists of basic tororo, barley rice, miso soup, pickles, tamagoyaki omelette and the day’s side dish (stewed chicken and veg on our visit). Unless you take the all-you-can-eat concept literally, the basic version, eaten on the restaurant’s ground floor and in rather close quarters, is filling but won’t leave you weighed down afterwards. It's no culinary highlight, perhaps, but a decent power lunch to get you through a busy afternoon of work or sightseeing in Asakusa. The second choice will set you back ¥2,000 but literally opens up entirely different vistas. You’ll be seated on the seventh floor, in a room with very pretty views of the river, the Skytree and the classic ‘golden turd’ on the roof of the nearby Asahi Beer Hall. All-you-can-eat here means access to three flavours of tororo instead of just the standard mix, plus a selection of 13 sides ranging from grilled fish to a wide variety of tsukemono pickles. The dining area is more spacious than the one on the ground floor and also offers a more laidback atmosphere, so paying double actually does feel justified – we’re inclined to call this the best deal available here. Still, if you’re looking to go all out on the gooey stuff, book a table in the second-floor kaiseki area and let the chefs treat you a seemingly endless variety of gorgeously plated, seasonally arranged dishes to go with your bowl of sticky yam. 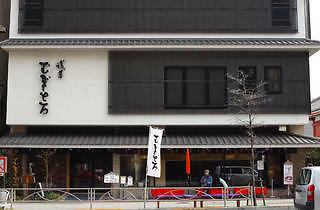 Regardless of floor choice, you will have company: there’s always a queue for the basic buffet and even the pricier options are popular year-round, with bookings recommended for the kaiseki meals. 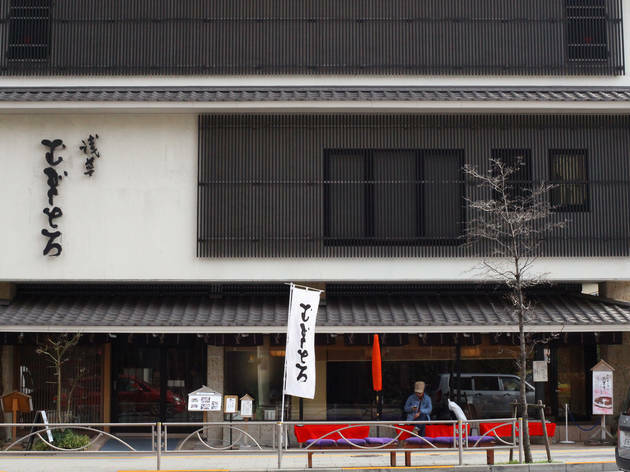 Whatever your budget, Mugitoro is the place to overcome your suspicion of the glutinous – we sure did, and eventually caught ourselves going for seconds of the mineral-rich mush that gave this local classic its name.